Girl Scout cookie sale season is almost over. I can't say that I'm sad about it. 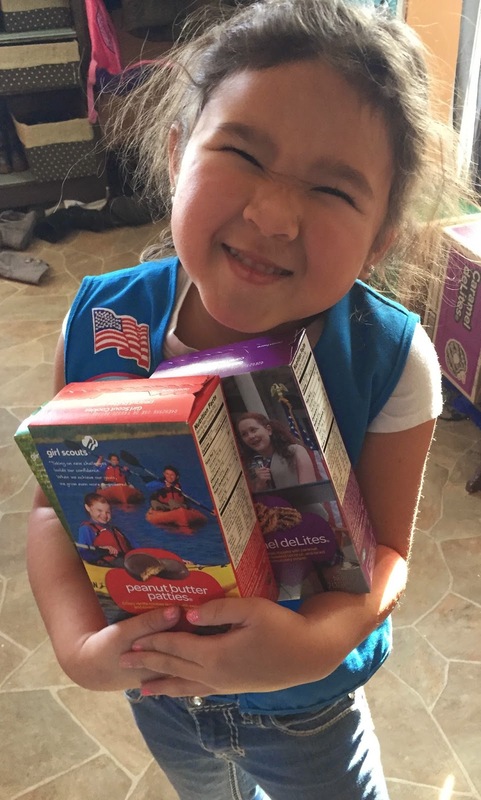 This has been my daughter's first experience in the cookie-selling business (she's in Kindergarten, so she is a Daisy scout). 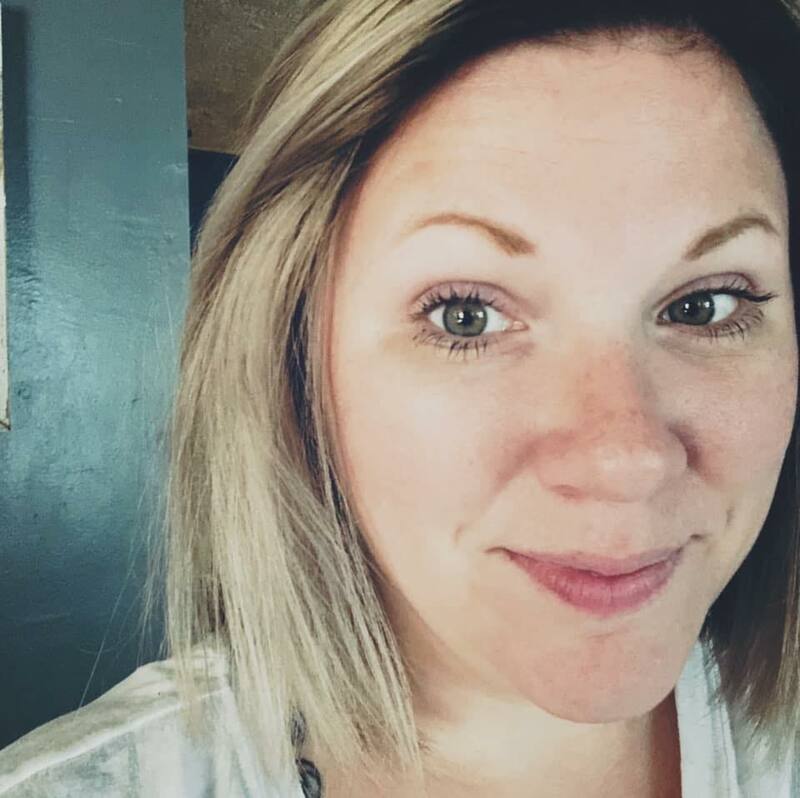 She set a goal of 500 boxes of cookies to sell, based solely on wanting to win the nail polish art kit, and we have been working hard to reach that goal. I don't think we will reach it. We're close though, like within 20 or so! But, she doesn't need to reach her goal every time. It has taught her great people skills and I have been able to watch her blossom over the past month and gain confidence in her ability to talk to people about the cookies, making the sale, and thanking them afterwords. Which means that I have bought a large amount of Girl Scout cookies for our own consumption at home. I have a weakness for Shortbread cookies. Nobody else in the house enjoys them as much as I do, so the two boxes that I set aside for myself I knew I needed to do something with, or I would just eat the entire box. That's when I decided to crush up the cookies and use them as the crust for lemon bars! Spring has sprung around here with the afternoon temps reaching the mid 60's, so naturally I am craving delicious treats that aren't so chocolately, or peanut buttery...even though they are delicious. I stuck with the most basic, simple recipe that I know from my childhood - no need for recipe cards with this one! 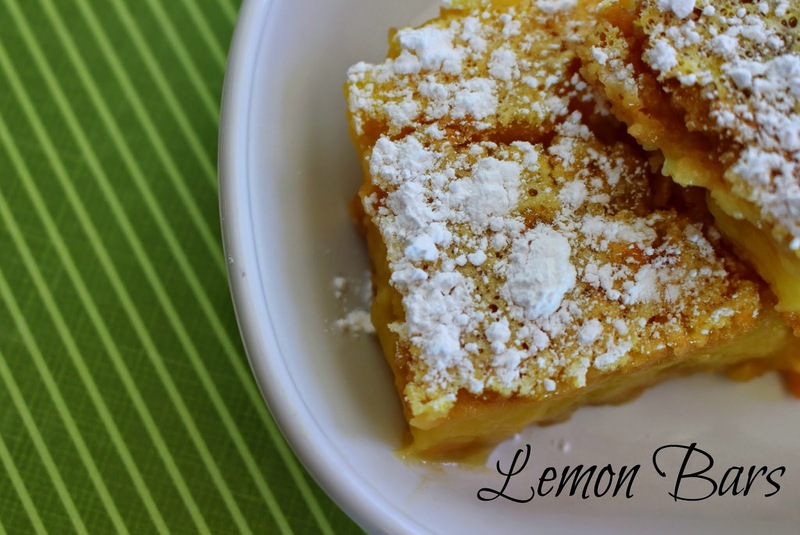 The best part of this simple lemon bar recipe is that kids can help whip it together. Crushing the cookies, whisking the eggs and squeezing the lemons...c'mon now! Pretty much nothing is as much fun as those things! These bars are full of citrus flavor and the natural yellow color is bright and beautiful. They are fragrant and taste amazing. If you don't have shortbread cookies from the Girl Scouts (I used one entire box to make the cookie crust), any other shortbread cookie would do just fine! Even Nila Wafers would work in their place. Mix together the crushed cookie crumbs, sugar and melted butter. Press into the bottom of an 8X8 baking dish. Bake for 7-9 minutes, until lightly browned. In a mixing bowl, whisk together the eggs, strained lemon juice and sugar. Don't whisk it too much, it will get frothy if you do. Pour into the warm pie crust. Bake for 15-20 minutes, until the center is set and no longer jiggles when moved. Sprinkle with sifted powdered sugar.